VILLAGE RESIDENTS ONLY. All other listings REMOVED. Items listed here ONLY appear in this forum section and in New Posts. If you list your item in the 'Classified Section - Full Classified Version' above this section your items appears in the classified section + forum section + New Posts. Looking for something special? Post it here. List your estate and garage sale here for FREE. 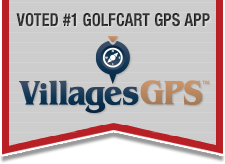 CLICK HERE to sell your golf cart for FREE or search Used Golf Carts for sale.